President Carlson has appointed an Information Security Committee to help the college protect the privacy and security of personal information and to coordinate compliance with the various applicable laws and regulations (FERPA, GLBA, HIPPA, HEA, PCI, etc.) Committee membership includes Jan Cordell, Adam Forsyth, Jon Lund, Paul Mattson, Eric Runestad, Jan Schnitzler, Jacob Secor, Diane Tappe, Ryan Torkelson, Marsha Wenthold, RyAnn Winings and Amy Wrightsman. Thank you to these individuals for their willingness to assist the college with these important compliance and risk management efforts. For enrollment information for fall 2017, years 2013-2017, and first-year student cohort persistence and graduation rates over time, visit http://www.luther.edu/ir/enrollment/. Key requests must be picked up at Facilities Services within 30 days. For those who have made requests in August or early September this year, keys must be picked up by Monday, Oct. 2. Student work supervisors, please remind students to pick up keys ASAP. Any keys not picked up by Oct. 2 will be pulled. At that point, the department head will need to make a fixit.luther.edu request again. Contact Facilities, 387-1146, with questions. It's hard to believe, but Christmas at Luther tickets are coming soon. All faculty and staff can secure their Christmas at Luther 2017: The Tree of Life My Soul Hath Seen tickets online starting at 9 a.m. Thursday, Oct. 5. Please contact the Ticket Office, 387-1357, for help setting up an online ticket account. For more information, check out the CAL Faculty/Staff tickets page. Open hours are designed for quick questions and exploratory conversations with the vice presidents and deans of the college. Students, staff and faculty are seen in order, upon arrival. People are encouraged to arrange individual appointments with Cabinet members, especially if the issue requires an extended conversation. All open hours will take place at the office of each vice president/dean. Additional dates will be announced as they are scheduled. Preus Library and the Student Senate continue to provide all students, faculty and staff complimentary access to NYTimes.com and NYT mobile apps. Accounts must be recertified every 365 days. Visit the registration page and log in using existing credentials to reactivate an account. Contact Freeda, <fbrook> with concerns. Banned Books: Rewards for capture! Eleven banned books are on the run and hiding at Luther College. When a book is found between Sept. 24-30, send information on its whereabouts to the Library or Book Shop using the hashtag #LutherBannedBooks2017. Rewards are available, including discount Book Shop coupons and a chance to win a banned book of your choice. Details about these delinquents are available on WANTED posters all over campus. Last week, most of the Amur maples that were along College Drive where removed. The reason for removal was many of the trees had reached the end of the life cycle and were in the process of dying off. This was compounded by the wet fall of 2016 and spring of 2017, resulting in trees sitting in standing water for an extended period. The plan going forward is to replant native species in this same area after doing some work to eliminate the low spots. Five Luther authors will be featured by the Book Shop throughout the day during Homecoming Saturday, Oct. 7. From 11 a.m.-1 p.m., Jerry Johnson, former Luther director of public information, will sign his book "A Limit of Coot: A Curmudgeon's Final Observations about life in the North Country," and Keith Lesmeister '01, will sign his new book, "We Could've Been Happy Here." From 1-3 p.m., copies of "Just a Thought or Two," "Holiday Stories" and "Land of Promise, Land of Tears" by Jerry Twedt '57, will be available. Marvin Slind, emeritus history professor, will sign his new book, "Ivy," from 1-3 p.m. From 3:30-5 p.m., Kurt Clopton '92, will sign his new book "Superguy." The Book Shop is open from 9 a.m.-5 p.m. Saturday and 9:30 a.m.-1:30 p.m. Sunday. All books listed above are available for purchase in the Book Shop. Wellness is hosting a massage therapist on campus for $1/minute chair massages, paid by cash, check or card at appointment, from 1-5 p.m. every other Monday, starting Oct. 2 in Borlaug. Chair massages can help reduce muscle tension, improve blood flow/circulation, increase energy-improving productivity, decrease anxiety and enhance immune system function. Visit the Wellness event calendar for more information and to sign up. Wellness is holding a month-long walking challenge with mini-challenges built in during the month of October. Participate in just a few, or all of the challenges, including: personal step tracking challenge for the month, a department step challenge (supervisors contact <wellness>), Park on the Perimeter Week, Walk to Work Week and more! For more information and to register, fill out this form. Masters Swimming registration is open for October. Each month, approximately 12 workouts are offered at the Luther Pool: 6-7 a.m. Tuesdays, 6:30-7:30 p.m. Wednesdays, 11:30 a.m.-12:30 p.m. Fridays and 4-5 p.m. Sundays. Classes are open to swimmers of all fitness and ability levels. Cost is subsidized by Wellness based on attendance. Contact [email protected]; Kate Elliott, <ellika03>; or Brittany Cord, <cordbr01>, to sign up. A progressive walking supper begins at 5 p.m. Wednesday, Oct 4. Part of the Healthiest State Initiative's annual walk, the free meal begins with appetizers from 5-5:30 p.m. at Carrie Lee School park. Participants will leave Carrie Lee at 5:30 p.m. and eat walking tacos at John Cline School from 5:45-6:30 p.m. Last, they'll walk to the Decorah Public Library for dessert beginning at 6:45 p.m. The free meal is open to the public, with partners of the Winneshiek County Community Foundation, Gundersen Health Systems, Decorah Public Library, Decorah Public Schools, the Luther women's basketball team, Northeast Iowa Food and Fitness Initiative and Upper Explorerland Regional Planning Commission. For more information, check out Iowa Food and Fitness on Facebook. Interested in joining a fun choir group? Luther Gospel Choir is the answer. Luther's Gospel Choir is a non-audition choir sponsored by College Ministries and the Diversity Center. Gospel Choir is open to students, staff, faculty and community members who like to make a joyful noise. All are welcome. Next rehearsal is 3-5 p.m. Saturday, Sept. 30. Email <gospelchoir> with questions. Tuesday, Sept. 26: Women's tennis vs. Loras 3:30 p.m.
Wednesday, Sept. 27: Women's soccer vs. UW-Whitewater 5 p.m.; men's soccer vs. UW-Whitewater 7 p.m.
Friday, Sept. 29: Volleyball vs. Nebraska Wesleyan 7:30 p.m.
Saturday, Sept. 30: Volleyball vs. Buena Vista 3 p.m.
Sunday, Oct. 1: Men's soccer vs. Carleton College 6 p.m. Professor of Neuroscience at the University of Oregon Marjorie Hines Woollacott will give Luther's 2017 Oen Fellows lecture at 7 p.m. Tuesday, Sept. 26, in the Recital Hall of the Center for Faith and Life. A reception will follow in the CFL Qualley Lounge. Both the lecture and the reception are open to the public with no charge for admission. Woollacott will also be at the religion department Brown Bag Lunch 11:30 a.m.-1 p.m. Wednesday, Sept. 27, in the Mott Room, Dahl Centennial Union. Visit the Luther College Farms from 3:30-7 p.m. Wednesday, Sept. 27, to sample produce and see what happens on the farms. Rides out to the farm leave from the Union at 3:30 and 4 p.m. Click to sign up for a ride. With many conflicting opinions, laws, research and experiences, it's hard to know what to believe about marijuana. Join the Real Talk Discussion Series sponsored by Counseling Service, Wellness and the CEPE, to engage in open, respectful dialogue about topics that relate to well-being. The first discussion is 7-8 p.m. Wednesday, Sept. 27, in Larsen Room 120 and focuses on the topic of marijuana. Visit the Valders Greenhouse from 9:30-11:30 a.m. Thursday, Sept. 28, to get a free potted plant. Each plant is taken from around campus and re-potted. This event is open to all students, staff and faculty, thanks to the Center for Sustainable Communities and the Luther College Grounds Crew. Internationally recognized scholar Jeffrey Chipps Smith will deliver a lecture titled "Martin Luther and the Reformation's Artistic Challenges" at 7 p.m. Thursday, Sept. 28, in Olin 102. The lecture addresses why critics of the Roman Church targeted art, how art became a potent weapon for attacking religious adversaries, the Reformation's impact on artists and Luther's role in the creation of a new, specifically Lutheran art. The lecture serves as the college's 2017 Gerhard Marcks lecture. Judith Saxton, trumpet, will perform a guest recital, featuring Luther College faculty artists Miko Kominami and John Cord, at 4 p.m. Saturday, Sept. 30, in the Noble Recital Hall of the Jenson-Noble Hall of Music on the Luther campus. Saxton will also hold a master class at 11 a.m. Saturday, Sept. 30, in the Orchestra Rehearsal Room in the Jenson-Noble Hall of Music. Both events are open to the public with no charge for admission. Luther College Dance Marathon will host its annual Donut Dash at noon Sunday, Oct. 1. The race starts on the edge of the Luther campus, with check-in and registration in the Decorah Municipal Pool parking lot. Participants may register at tinyurl.com/yc59m6af. The 5k run ends at Baker Commons where runners are greeted by hot chocolate and coffee. All proceeds benefit patients of the University of Iowa Stead Family Children's Hospital. Examining how human rights discourses and institutions have changed gender norms and responses to gender violence in rural Ecuador, Karen Friederic, the Luther College Women and Gender Studies program's fall 2017 Price Lecturer, will deliver a lecture titled "Women's Rights, Gender Violence and Body Politics in Coastal Ecuador" at 5 p.m. Monday, Oct. 2, in Olin 102. Luther College music department will be hosting a general student recital at 9:40 a.m. Tuesday, Oct. 3, in the Noble Recital Hall. This event, open to the public with no charge for admission, features various performers, ensembles and soloists. Contemplating change as both a powerful tool of construction and a disruptive act, Susan Schmidt will present Luther's opening Paideia Texts and Issues Lecture Series at 7 p.m. Tuesday, Oct. 3, in the Center for Faith and Life Recital Hall. A reception will follow in the Qualley Lounge. Both events are open to the public with no charge for admission. The Chinese Moon Festival, also known as the Mid-Autumn Festival, held on the 15th day of the eighth month in Lunar calendar, is a popular harvest festival celebrated in China and other Asian countries. This year, it falls Tuesday, Oct. 3. Co-sponsored by Department of Modern Languages, Literatures and Linguistics, and Asian Student Association and Allies, a Moon Festival Party will take place from 7-9 p.m. Tuesday, Oct. 3, at the Farwell Lounge on the eighth floor. Enjoy delicious moon cakes and fragrant tea while playing Chinese games and learning about Chinese culture. The Luther College political science department, Luther College social work program and the American Association of University Women is hosting a local political candidate forum from 7-8:30 p.m. Thursday, Oct. 5, in Valders 206. The event is open to the public with no charge for admission. Martin Luther's concept of returning to the sources to analyze scripture sometimes conflicted with his concept of the singular authority of scripture. Katherine Shaner, Luther class of 1998, will examine the tension between these two concepts in Luther's interpretation of slavery in the New Testament at the college's 2017 Phi Beta Kappa Humanities Symposium at 9:30 a.m. Saturday, Oct. 7, in the CFL recital hall. Using slavery and its historical and theological context within Pauline communities, Shaner will explore how conversations about slavery have shaped modern theology and how Luther's legacy and slavery evolved both in the church and public in the following decades. During the 2016-17 academic year, Todd Green served as a Franklin Fellow in the U.S. State Department. His mandate was to advise the Bureau of European and Eurasian Affairs on matters related to Islamophobia and human rights. Green will discuss his experience working in the highest levels of the U.S. government and explain how the nature of his work changed with the shift in administrations during a lecture at 7 p.m. Sunday, Oct. 8, in Valders 206. Sponsored by the Religion Department and Center for Ethics and Public Engagement, the lecture is open to the public with no charge for admission. Award-winning journalist and author James Fallows will give the Farwell Distinguished Lecture in the Center for Faith and Life at 7 p.m. Tuesday, Oct. 10. His talk, "It's happening here: American Renewal, Ingenuity, and Innovation," is the result of a three-year, 54,000-mile journey across the country and reports on how America is putting itself back together in the wake of recession and division. He found a wide range of civic projects underway that are rebuilding America - a cross-section of generations, races and political affiliations working far from the usual metropolitan hubs. To Deanna Casterton and family on the Sept. 19 passing of her father-in-law, Bernard Casterton, of Decorah. Services were Friday, Sept. 22. Veronica Seher started her position as the school outreach BMI coordinator Sept. 11. Her office is Valders 376, telephone 387-2009. 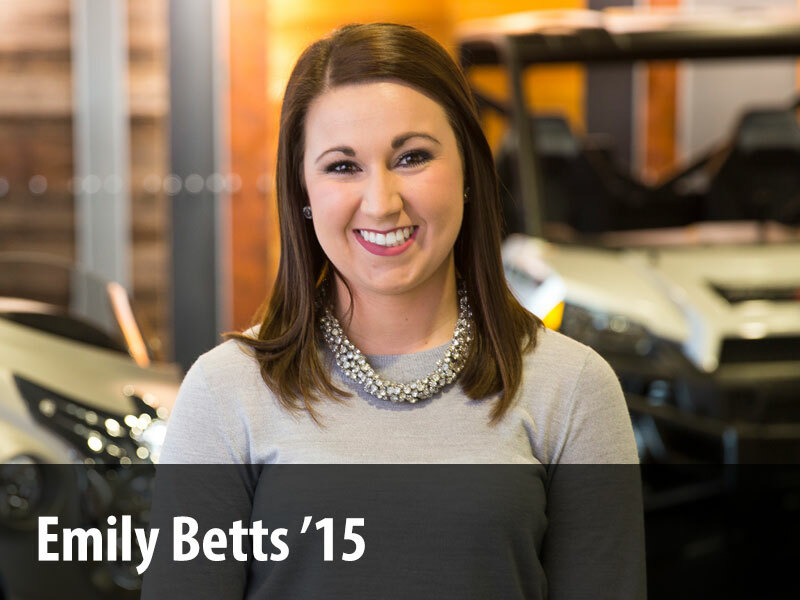 Emily Stumpf started as admissions counselor Sept. 18. Her office is Dahl Centennial Union 261D, telephone 387-1413. Mary Weis started her new position as Welcome Center and Information Operator Aug. 22. Her new office is Dahl Centennial Union 101A, telephone 387-2000. Full-time development and stewardship coordinator: Provide administrative and project management support for development, campaign and stewardship programming and events. The coordinator will manage the Legacy Trust endowed scholarship stewardship programming; coordinate and manage event planning; assist campaign co-directors in managing campaign programming, appeals and other mailings; coordinate the Norse Athletic Association programming for the development office; and assist athletic directors and coaches in coordinating and planning NAA. Coordinator will provide income and expense reports and provide administrative support for the director of development and director of Stewardship and Special Events. Qualified candidates will have a minimum of associate degree in business and/or finance, or equivalent work experience. Currently, there is a shortage of Registered Nurses in the United States due to changing retirement rates and an increased rate of burnout in nurses. Mariah Olson '18, of Lewiston, Minnesota, researched how shift rotation and length affect resilience and stress levels in the nursing profession for her summer research project at the college. Olson worked with LaDonna McGohan and Loren Toussaint on her project "Perceived Stress and Resilience Related to Shift Rotation and Length in the Nursing Profession." Abbie Hughes '18, completed a summer internship with the aquatics department of the Como Park Zoo and Conservatory in Saint Paul, Minnesota. Hughes was responsible for the care of harbor seals, California sea lions, polar bears, African penguins and tufted puffins. Her daily tasks included cleaning exhibits, hand feeding them daily medication, and providing enrichment- a process that involves bringing in food or objects to induce physical or mental stimulation. Stemming from her interests in sustainability and the visual and performing arts, Alexis Hove '18, of Decorah completed a summer internship at Urban Cottage, an occasional store. Urban Cottage satisfied Hove's artistic curiosity providing an opportunity to explore the refurbishing industry, while expanding her skills in merchandising, sales and customer service. Hove is the daughter of Todd and Tammy Hove. Martha Hall '18, served as the communications intern at Lanesboro Arts in Lanesboro, Minnesota, over the summer. Hall learned about grant writing and the importance of art in small and rural communities. Anna Ryden '18, of Minneapolis, Minnesota, served as a summer intern at the Wildlife Rehabilitation Center of Minnesota. As an intern, Ryden worked in the mammal nursery preparing food, feeding animals and cleaning cages. Jack Hendricks '18, from Clarksville, Iowa, completed an internship this summer in Apple Valley, Minnesota, with the bird department of the Minnesota Zoo, working with more than 200 species of birds. Hendricks worked with African penguins, tropical birds from the Indonesian region and South America, as well as Asian ducks. His main responsibilities included cleaning the exhibits and making sure each bird was healthy and content. Eric Ellingsen '99, and Kaysie Peterson '13, attended the College Music Tour Manager's Association (CMTMA) Convention at Augustana College, Rock Island, Illinois. The three-day event was held Sept. 10-12 and covered topics ranging from public relations planning to mental health to returns on touring investment. CMTMA is a national organization, founded in 1990 and has more than 15 member institutions. Ellingsen also presented the session "Christmas at Luther Ticketing: A Behind-the-Scenes Look," and was nominated as president-elect for the 2017-18 season. Luther College will host this event in September 2019. Todd Pedlar presented a talk titled "Prospects for Exotic and Conventional Bottomonium States in the Belle II Experiment" at the sixth International Conference on Exotic Atoms and Related Topics (EXA2017) organized by the Stefan-Meyer-Institute for Subatomic Physics of the Austrian Academy of Sciences in Vienna, Austria, Sept 11-15. In this talk, he summarized discoveries he and his Belle colleagues have made of rare and exotic particles in the data from the past Belle I experiment, and highlighted prospects for studying these and others like them in the upcoming Belle II Experiment, which is expected to run from 2018 through at least 2025. Professor of Music and College Organist Emeritus William Kuhlman was featured in concert at Holy Trinity Lutheran Church, Akron, Ohio, Sept. 25. Chosen works expressed the titles of the two sections "Sea, River and Land" and, "Parisian Pastry" by composers including Micheelsen, Bach, Spong, Brahms, Vierne, Sowerby and Guilmant. The organists on the "Arts at Holy Trinity" series perform on the historic Berghaus Organ, a gift from the Seiberling family that features 4,551 pipes. "Marieke," a 2017 seven-minute documentary film, has been chosen as an official selection by IPTV’s "The Film Lounge," the Kansas City First Friday Film Festival, Flyway Film Festival, the Block film and art festival, the Lake Charles Film & Music Festival, the Tucson Film & Music Festival and the Twin Cities Film Fest. The film is directed by Thomas C. Johnson, edited by Johnson and Jack Ross '17, shot by Aaron Lurth '08, with sound recording by Ross, with color by Lurth and music by Brooke Joyce. "Marieke" explores the life and craft of acclaimed Dutch Gouda cheesemaker Marieke Penterman from Thorp, Wisconsin. For rent: Three-bedroom home located four blocks from Luther. $750/month plus utilities. New appliances, new renovations and landscaping. Recently replaced furnace and central air. Extra large two-car garage. Unfurnished. No pets, no smoking. Contact <nimrodda> with inquires. Fundraiser: Nisse Preschool is holding a Pizza Ranch fundraiser all day Wednesday, Sept. 27. Dine-in or carry-out is available, and 10 percent of the total food profit will be donated to Nisse. Contact Megan <msherman> for more information. Wanted: Small office space with waiting area needed to meet clientele. Shared office would work well. Call or text Carol, 419-8213. For sale: Barely used Gold's Gym Elliptical, located in Decorah. Only three-four years old. Not currently being used. Make a reasonable offer. Contact Sue, <leidsa01>, with offer. For sale: Apple Watch original black sport watch with silver band, black band, original box and case, and several accessories, all in perfect condition, $250; Apple original earpods, never used in case with pre-lightening connector, $20; purple travel wallet with place for passport, money, credit cards, $15; iPad iHome case with Bluetooth keyboard, $20; Bill Blass black padded iPad case with shoulder strap, $10; Motorola Roadster Bluetooth hands-free car phone connector, $20; iPad Mini notebook-style colorful case, $5; eight iPhone 6 phone cases, $3 each; dark green glider rocker cushions, $50. Contact <kimpowell> for photos. For sale: Five cross-breed rabbits for sale. $5 each. Three males are all black, one black-and-white female and one gray-and-white female. They under a year old. Contact Michelle, <larsmi04> for more information. Friday, Sept. 29, is World Heart Day. Cardiovascular disease is the leading cause of death and disability in the world, killing 17.5 million people a year. That's a third of all deaths on the planet and half of all non-communicable-disease-related deaths, according to the World Heart Federation. World Heart Day was created to help educate people on how they can control the ristk factors for developing cardiovascular disease. On Sept. 29, go for a walk, stop smoking, eat healthy, learn about the warning signs or visit the Luther wellness program to learn more about how to control the risks.